"Vincent Me is a drifter who has come to New York by way of England. After being kicked out of his apartment, he has difficulty finding a place to live. At the suggestion of an elderly contact named Tommy, Vincent falls in with a group of young college students who practice a strange religion. Vincent doesn't really care about their cause. He just wants a place to stay with little expectation of reciprocity. Vincent soon discovers, though, that this religious cabal engages in a practice that involves near-death experiences to achieve enlightenment. 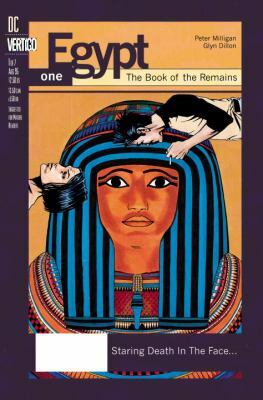 They force Vincent to endure a form of Egyptian burial. When he awakens, though, it appears as if he arrived in the time of ancient Egypt.